A New Hampshire contractor and Haverhill, Massachusetts subcontractors will pay $420,000 after settling allegations of submitting false and inflated payment requests for MBTA renovations. The case indicates that crackdowns on illegal practices in construction for the government are on the rise. S&R Construction, its president Stephen Early, subcontractor A&S Electrical, and its manager Gregory Lane, will be collectively responsible for repaying the Commonwealth. The False Claims Act, a law that provides protections for “whistleblowers” who come forward with information not previously known to the government about waste or financial fraud on taxpayers, has become the primary statutory remedy for the government to recover ill-gotten funds. In 2016, the government prosecuted healthcare, defense, and contracting frauds through the FCA, collecting $4.7 billion. Though the FCA has been law since after the American Civil War, and was passed after rampant frauds on the government enraged citizens, its use as changed throughout its existence. Originally, businessmen with lucrative contracts were dubbed “war hogs” by the American press, and the contracts that made them rich amounted to agreements with the union army to supply goods and services that were oftentimes nonexistent or subpar, despite being paid handily. Here, the FCA was used by the Commonwealth to remedy contracting fraud on the MBTA. The allegations were investigated by the Massachusetts Attorney General’s Office after the Massachusetts Office of the Inspector General received a confidential telephone tip that A&S Electrical requested inflated invoices from a subcontractor working on improvements to the Wachusett Commuter Rail Station on the Fitchburg line. “This is a solid example of how a call to our fraud hotline led to a joint investigation by the AGO and our office resulting in significant recovery for the taxpayers,” said Massachusetts Inspector General Glenn A. Cunha. 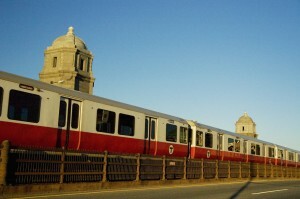 The Commonwealth’s complaint alleges that the two companies violated the Massachusetts False Claims Act by knowingly submitting to the MBTA false and inflated requests for payment reflecting that they had purchased construction materials in larger quantities and at higher prices than they had actually purchased, in order to receive larger payments than they were entitled to at the time under the lump sum contract. Unfortunately, this type of “padding” bills to the government is common across sectors, and is frequently alleged by FCA whistleblowers. Under the terms of the judgment agreed upon in Suffolk Superior Court, S&R Construction and A&S Electrical admitted there were “sufficient facts to support a finding that they submitted inflated requests for payment to the MBTA.” The judgment requires the defendants to pay more than $420,000 to resolve the allegations, including nearly $110,000 in civil penalties. S&R Construction was also cited by Healy’s Office for its failure to pay the prevailing wage and failure to submit true and accurate time records on both the construction of the Assembly Square Station and the construction of the Wachusett Commuter Rail Station on the Fitchburg Line. The citations require S&R Construction to pay over $40,000 in restitution to its employees and over $25,000 in penalties to the Commonwealth. If a whistleblower’s lawsuit is settled, or an FCA defendant is found to have violated the False Claims Act, the whistleblower likely personally stands to receive significant financial compensation as an award for their “insider” information. Litigation is confusing and may be dragged-out for years if a defendant is set on contesting the allegations. The complex considerations in bringing a whistleblower suit can be mitigated and eased by speaking with an experienced False Claims Act attorney.